You’ll get a message that the access card doesn’t work. You’ll be unable to watch any TV at all. When you call Solid Signal, we will attempt to fix the problem remotely. It won’t work, because the access card isn’t inserted properly. We may send you a new access card, thinking the old one is defective. If you put that on in the wrong way, your account may be locked for 30 days. 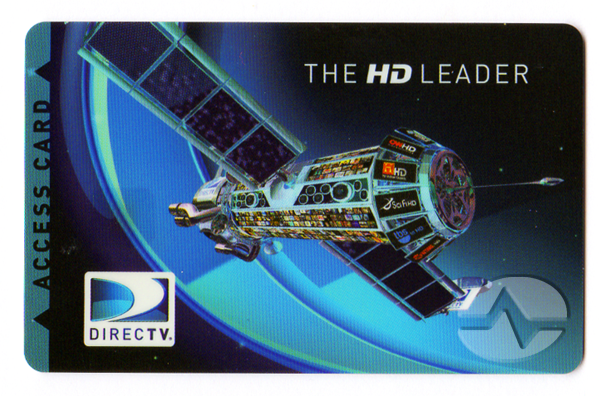 In other words, not realizing that your access card is put in the wrong way could mean that you are locked out of watching DIRECTV for a full month. Why would you be locked out? Trying to attach more than one access card to the same receiver, and doing that multiple times, is a real risk. It looks like fraud to AT&T’s automated system. It doesn’t matter that it was done by a legitimate dealer. Since access cards fail so infrequently, the system just isn’t going to believe that two different cards are defective. What’s the right way to put in an access card? Take a look at the photo above. You can see that the left side of the access card has two little triangles. This shows which end goes in first. The side with the photo faces the top of the receiver. Put the access card in tightly but it shouldn’t be necessary to force it. It’s sideways because the card is inserted sideways into the Genie 2. This is exactly the way it looks if you’re looking at the back of the Genie 2. 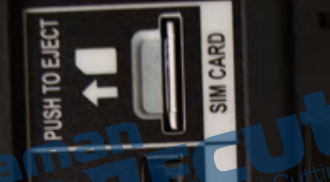 The card is inserted as shown in the picture, with the notch facing downward and going in first. Also, it’s worth noting that Genie clients don’t have access cards. They are not truly receivers although they act exactly like receivers. That’s on purpose of course, so that you have a consistent experience. So, obviously, don’t panic if you don’t have an access card for your Genie client. It doesn’t need one. The other side to that is that your Genie client relies on your Genie DVR and can’t be used separately. Can you use an access card from one receiver in another receiver? In general, once an access card has been paired with a receiver it cannot be paired with another receiver. We have activation experts who can work a lot of magic — call them at 877.312.4547 — but if you believe there is an access card problem a lot of times it can take some time to fix. Simply trying to use a different access card in your receiver, especially one that does not belong to you, is a recipe for disaster. It will alert AT&T’s fraud squad and you’ll have some explaining to do.